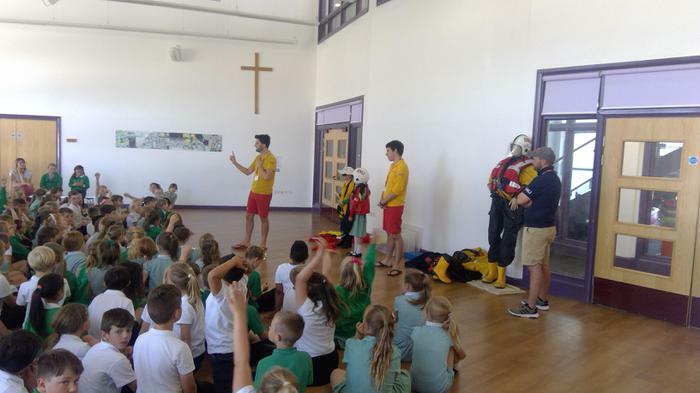 Thank you to Jason form the RNLI station in Burnham on Sea and the lifeguards who came into school on Friday 22nd June to talk to the whole school about how to keep safe on the beach this summer. 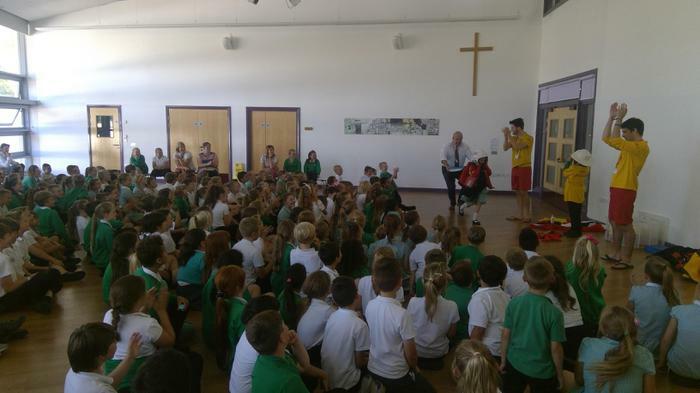 We learnt about Slip, Slap, Slosh and how to attract a lifeguard's attention if you need help! Mr. Philcox who had been out on his bodyboard was rescued by Chanelle, the junior Lifeguard and brought back safely to the beach! Don't forget to see our display at the front of the school to remind ourselves on the importance of keeping ourselves safe on the beach!